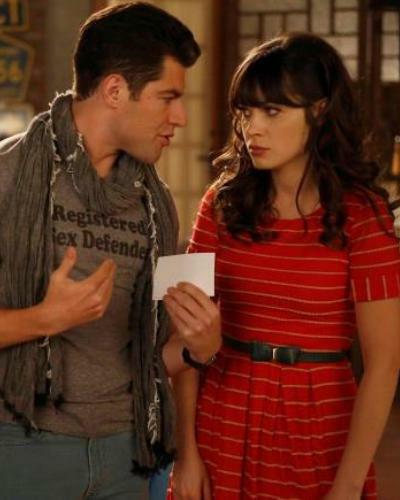 12 Things You Should Never Say to Your Bestie's Boyfriend! We get it - when there’s someone else in your bestie’s life who warrants most of her attention, affection and time, and you are bound to get a little jealous. But even if there is a lot of friction between you and your bestie’s better half, it is NOT okay to say certain things to him. Read on to find out what to never say to your bestie’s boyfriend. What are you? A tax auditor? Not for you to know! 2. I don’t like what you’re wearing. If your bestie is okay with what he’s wearing, it’s none of your business. And even if she isn’t okay with it, it’s between the two of them - nothing to do with you. 3. Don’t break her heart like her ex did. Steer clear of opening up any of those ex-files! 4. I always imagined her with someone different. Whether you wanted someone taller, smarter or worthier for your BFF, ultimately it’s really not your choice whom she falls in love with. 5. She was so happy when she was with her ex. No new boyfriend/girlfriend likes being compared to the ex. You know that, right? 6. Wait till you see her without makeup on. A good friend will never put down her bestie in front of her love interest. Scratch that - in front of ANYONE! 7. You can’t love her as much as I do. If you can weigh out and measure love, you definitely deserve a Nobel Prize. Or a cookie. 8. So, I heard you guys did it 5 times last night! Dude. Your bestie confides in you because she trusts you to keep your mouth shut about stuff like this! 9. You will never be as important as I am in her life. Please, you are not in school. Grow up! 10. What are your intentions with her? Please don't corner them like this and push them into having a conversation that they are probably not ready for yet. This is not how you support her new relationship! 11. Has she told you about her colourful past yet? Girl. Don't be a jerk! If she wants to tell him all her secrets, she will do so in her own time. That's just creepy. Even if you "like" him, it’s best you forget about those feelings for the sake of your friendship! MUST-READ: What Not to Say to a Woman on Her Period! MUST-READ: TMI Alert: Relationship Details You Should Not Be Sharing with Your Friends!